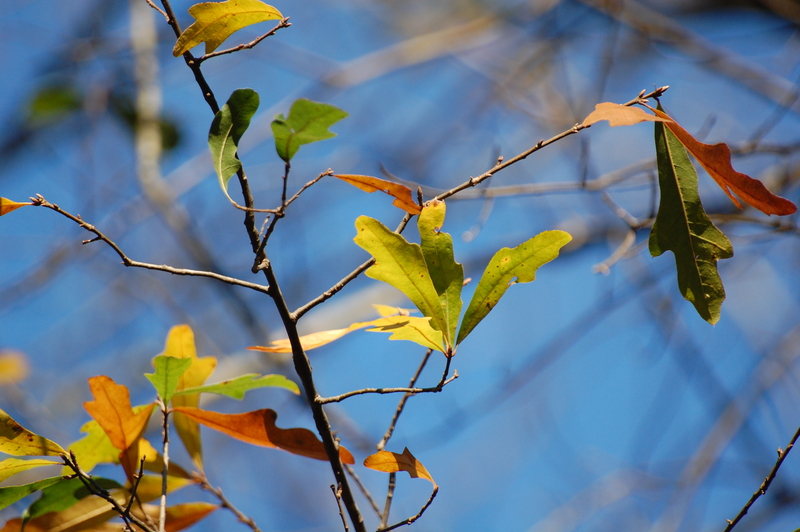 Fall leaves. They’re a seasonal thing. First of all, just so you know, fall leaves are not easy to find in March. Finding props for commercial shoots is part of my new job, and apparently, there is not a demand for fall leaves until at least August. So… if you go searching, I’m here to tell you that they will be mighty difficult to find. Anywhoo….. I’ve missed all of you fellow bloggers tremendously! Apologies for not visiting and not commenting. I am trying to find my perfect work-life balance, and perhaps that’s not the easiest thing to achieve within the first one and a half weeks of a new job. For my new job, sometimes I’ll get to blog! How fun. So my new coworkers were wanting me to search through old photos to illustrate my first blog post… something about my time interning at CNN, or maybe my early jobs doing PR at hospitals. Here’s the thing: we didn’t used to have 24/7 access to cell phones with cameras. We didn’t chronicle our every breath. We didn’t have photos of us sitting at laptops… writing. But it took me back to when I was in my early twenties, when my best friend and I used to frequent a wonderful bookstore (with real, non-e-books!) in Buckhead, right near the heart of Atlanta. In the summertime, the evenings would be humid and wonderful, and we had all the time in the world. We had no real responsibilities, no real pressures. We would go out for big slabs of carrot cake and cups of Sumatra coffee at The Dessert Place, one of the coffee shops that preceded the rise of Starbucks, a place where the coffee bean roastery thingie was all exposed and beautiful in its steely-ness. We would peruse the (paper!) listing of goings-on downtown in Casual Loafing, circle some of them with red pen, talk about boys, and stroll through the streets to our favorite bookstore. The whole thing was wooden, and there were two stories. Stories! The shelves were wood, the floors were wood, and wherever there wasn’t wood, there were books. It smelled of coffee and wood and old, leafy pages. We liked to hang out in the numerology and astrology section. I’m not sure what we thought we would find there. Perhaps a boy? But boys didn’t go there. Too girly. We combed the pages for hints as to how we would meet our soulmates. But mostly, we talked and laughed. Maybe our quest wasn’t for a boy after all; we were having way, way too much fun. When we roamed the fiction section, one of the books I remember flipping back through was The Adventures of Sherlock Holmes. Oh, how I loved that book! A few days ago, my kids and I had run out of good books to read after trying a few boring samples on the Kindle. I started reading Sherlock Holmes to them. “I don’t get it. Nothing’s happening,” my son said, lolling around the bed, the boredom rolling off of him in waves. I’m here to tell you that Instagram and Snapchat aren’t so far removed from Holmes and his investigations. My kids started listening. And good. Sometimes, adapting to new information takes time. And sometimes, as I watch my kids adapt to new stuff, it makes me realize that I need time to adjust, too. My whole early twenties were a time of adjustment. Combing through the photos made me remember that. Good books didn’t used to jump right into the action. You had to warm up to it. And new jobs, new phases of life, take a little adjustment, too. What about you? Are you good at adapting? Or do you need a little warm-up? Thank you for dreaming up a book for kids about a reality show where people kill each other. While death and post-apocalyptic themes are not the first thing I would seek out for an 11-year-old, I am thankful for the extent to which my son has been submerged in your world. 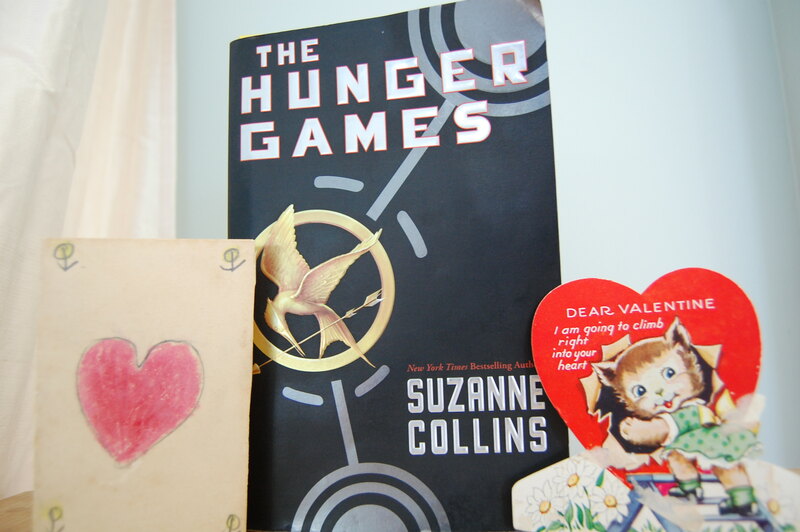 I read the Hunger Games trilogy in 5.2 days this past December, and I loved all three books. I had also read the Gregor the Overlander series to my kids a few years ago… so good. Quite frankly, I was getting concerned about my kids, who love to read. When I read Harry Potter #6 out loud to them, there were tears. Both of my kids read books, and there have been several they’ve really, really liked. But this. This, Ms. Collins. Remember The Once and Future King? Oh. Maybe you don’t. I got The Once and Future King the summer when I was 11, a few weeks before it all hit the fan. I mean, the death of my rabbit, my cat and my grandmother, all within a week? Everything was changing. And I was ugly. Please don’t remind me about my cloud of hair. Or those painful braces. The one thing I had going for me was a Bain du Soleil tan from a summer spent in the sun, and even that was cursed, since my eyelids, tanned and weathered like an ’80s goddess, now sit atop my eyeballs in the manner of an 80-year-old. But I had King Arthur. And England, and towers and knights and fate and good and evil. And I didn’t even think ol’ Lancelot was all that great. Guinevere made some bad choices. I can’t even hear “Fortress Around Your Heart” by Sting without being transported back to my bed, with the curtains blowing in with the breeze and the long summer days giving me extra reading time. As hungry as I was, King Arthur was way better than tuna casserole with potato chips on top. And now Hunger Games. When I see tears on the edges of my son’s eyelashes as he reads about [bad thing expunged here], I know he is feeling the power of a great book. Thank you, thank you, Ms. Collins, for all of your compelling writing about good and evil and Peeta (Arthur) and Gale (Lancelot) and scrappy female characters both boys and girls can relate to. While we were reading “The Son of Neptune” last night, Percy Jackson and his new friends return to the Roman camp to beat down some bad dudes and monsters. One of them picks up an “old Roman dagger, a pugio.” I excitedly tell my kids that the word comes from the Latin word, “fist,” and has to do with fighting, and maybe they’ve heard the words “pugilism” and “pugnacious?” I am unsure why they do not find this scintillating. Sometimes I wonder why I can remember random Latin derivations and not a devilishly creative name for a hair-styling salon that I saw on a trip that would be just perfect for a scene I’m writing. Here’s one reason: I spent 1/6 of my weekdays in Latin class for an entire four years of high school. I could tell you where the word “gregarious” comes from and why, but I’m guessing you probably don’t want me to. I can also sing, “50 Nifty United States,” a song we learned for fifth grade chorus. I even got into an argument about it with about five fellow wait staff while I was working at Chili’s after college. Not one person sided with me when I maintained there were 50 states. Seriously. I even knew a little song about it. And they didn’t want me to sing it. Memory works in weird ways. I try to keep a notebook with me at all times, but I’m notoriously bad about writing things down in it. And even when I do, I may not remember exactly what the thought process was behind it when I run across it later: “bird on windshield,” “anti-choice,” “packed like sardines,” “Outback.” If you can decipher these, give me a call and please explain. “Yeah, because there was no power in the house, newspaper up over all the windows, nothing for anyone to eat, and my two-year-old was dancing around the den wearing dirty pajamas, a coat, and a hat with flaps down over his ears? I was a little concerned.” They also kept saying I would laugh about it someday, and I still can’t. But here’s the deal: I wrote it all down. I could resolve that particular argument, because it was all in my journal. The bottom line is, to a writer, it matters. I always think I will remember things, in a “how could I forget?” kind of way. But then, inevitably, something is lost. When I was in college, I brought some photos of my suitemates over to show my grandparents. “You better write on the back of this picture everyone’s first and last names,” my grandfather said. “Oh no, I’m sure I’ll remember these guys,” I said, as only a stupid college student would say to someone who’s actually lived beyond age 19. I’m still learning. But there are certain lessons I probably need drilled into my head for about 1/6 of every weekday for four years. This is one I have to keep learning over and over.